No male Canadian performer has earned a greater right to be inducted in the CAB Broadcast Hail of Fame than Gordon Lightfoot. His voice, his songs and his records flooded the Canadian airwaves from 1964. Born in 1938 in Orillia, Ontario, Gordon became active in musical productions at an early age. His professional career dates from 1958 when the CBC hired him as a studio singer, an engagement that led to singing and dancing on TV's Country Hoedown, and several guest shots and public engagements. In 1964, the Canadian Talent Library "discovered" Gordon while he was performing at a coffee house on Avenue Road and offered him the opportunity to make his first record. On CTL LP#49, Gordon performed six songs, two of them his own - The Long River and Betty Mae's a Good Time Gal. The Canadian duo, Ian and Sylvia (Tyson) included two of Gordon's songs on their next album - Early Morning Rain and For Lovin' Me - the latter also recorded instrumentally for CTL by Ben McPeek. Gordon signed a recording contract with United Artists, and went on to make five albums, including the only "live" album he ever released. During this period, Marty Robbins recorded Gordon's Ribbon of Darkness, taking it to the top of the Billboard Country charts. Gordon then signed a new recording contract, this time with Warner/Reprise and from 1970 to 1996 released more original songs, including If You Could Read My Mind, Summer Side of Life, Sundown, Cold on The Shoulder and Summertime Dream. In 1999, Rhino Records released Songbook, a four CD boxed set of Lightfoot recordings. Canadian radio stations played a dominant part in bringing the many talents of this native son to the attention of fellow Canadians. Gordon arrived on the scene about the time that the CRTC instituted its Canadian content regulations, and Gordon's records helped the broadcasters to meet its requirements. Gordon has to his credit five Grammy nominations and 17 Juno Awards. In 1970, in recognition of his contributions to furthering Canadian Culture, he was inducted as an Officer into the Order of Canada. In 1997, he was presented with the Governor General's Award, and subsequently honoured as a charter member of Canada's Walk of Fame. 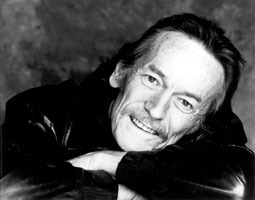 In 2001, Gordon Lightfoot was inducted into the CAB Broadcast Hall of Fame.